ArgoUML for Windows 10 - A small application designed to create models of UML type. 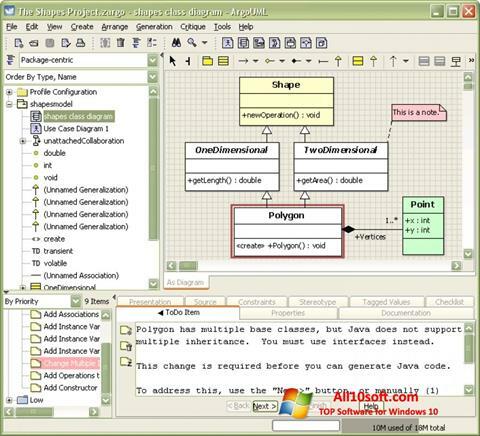 With it, you can build complex diagrams, draw up sequences of actions, generate source code in various programming languages. The utility includes a wide range of standard elements, greatly simplifying the work. The program has a convenient interface, with support for the OCL function of various classifications. The program is equipped with a system for automatic verification of UML data, according to the model created. Good optimization ensures minimal resource consumption. You can free download ArgoUML official latest version for Windows 10 in English.